Singapore, 31 March 2015 – Singapore-based real estate agency Premiere Realty has partnered with Insight Vacations, the leader in premium and luxury escorted journeys, to launch a first in a series of property tours for Asian guests. 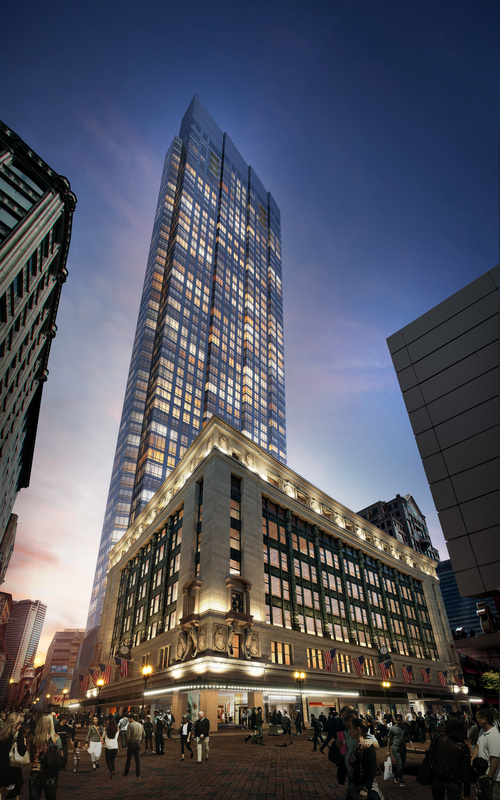 Guests who book an Insight tour visiting Boston can sign up for a privileged VIP tour of the sales center ofMillennium Tower Boston. Guests will be able to see a 3D model of Boston, and watch “Millennium Tower, the Movie” – offering 360-degree views of the city from the city’s most exclusive address, and the tallest residential building in the heart of Boston. as the pinnacle of urban luxury living, with 360-degree sky-high views never before seen from a private residence, expertly trained service staff and eye-catching architecture. Millennium Tower Boston will offer unrivaled amenities including 24-hour concierge, valet service, and The Club, a two-level, 23,000-square-foot owner’s lounge that includes a terrace, theater, billiard parlor, fireplace, library, a private ballroom, a bar and exquisite culinary offerings from Mina at the Tower, the only signature dining experience available in New England by Michelin chef Michael Mina. Millennium’s signature lifestyle program, La Vie®, will present an immersive social calendar to connect residents with curated experiences inspired by their passions for fitness, food, travel, art and culture. Designed for those who are accustomed to pampering, owners are automatically members of FLX by Millennium, the ultimate private health club featuring an indoor Olympic-size lap pool and offering in-house mind, body and nutrition services. Owners can have access to customized personal training programmes, in-house trainers, massage therapists, nutritionists, along with private classes for Yoga and Pilates. A unique blend of past and future in true Bostonian tradition, Millennium Tower Boston is currently under construction at the site of the former Filene’s Department Store and the iconic Burnham Building. Designed by Blake Middleton of Handel Architects, the residential building comprises of 442 luxury residences— a mix of one-, two-, and three-bedroom units with a bespoke kitchen concept design by Poggenpohl, the luxury kitchen brand and a 30-inch wine cooler. Prices of available units range from US$1.15million to US$37.5 million for a 12,846-square-foot penthouse occupying the entire 60th floor. 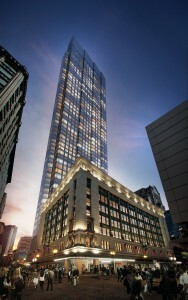 Millennium Tower Boston is located at 1 Franklin Street in Boston. The sales center is located at 40 Franklin Street. For more information on the luxury apartments, please visit www.mtbpremiere.com or contact Premiere Realty’s representative at sales@premiererealtyglobal.com. As a hub of higher education, Boston is home to more than eighty colleges and universities including Harvard University, Massachusetts Institute of Technology, Boston University, Tufts University, Emerson College and Berklee College of Music. Boston, Cape Code & The Islands is an 8-day tour, one of Insight’s most popular tours to the US. Guests will gain fascinating insights into American history and explore some of the best America has to offer. From Boston and the ‘Freedom Trail’ to ‘Ocean State’ Rhode Island steeped in sailing history, to the chic waterfront resorts of Martha’s Vineyard, and summer playgrounds of the Cape, this corner of New England is the perfect combination of American history and culture. The price of the land tour starts from US $2,636 per person, based on twin sharing while there is a special air-inclusive price from Singapore with Cathay Pacific starting from SG$5,249*. Departure dates on 18 July, 8 August and 26 September. Consider a step up in luxury and refinement with Cities of the East Coast (8 days), an Insight Gold Luxury 8-day tour. Insight Gold journeys go above and beyond the basics to offer something extra when it comes to style, service and comfort. Guests will be able to visit Harvard University with their experienced Tour Director and for those seeking a more in-depth introduction to the campus, they can sign up for an optional tour led by actual current students, who will share their own stories and personal experience. Insight Vacations has accumulated an international following by providing outstanding service and quality tour packages to the savvy traveller who seeks better accommodations, choices in dining, and smaller group sizes all while staying in the most desirable locations. With quality hotels, sightseeing experiences, and many included meals, guests will be astounded at the value of an Insight vacation. Insight tours averages 32 guests and limited to just 40, where guests will be accompanied by an experienced tour director who is extremely knowledgeable about the history and culture of the places visited. Guests are also assured that they will stay in centrally located premium hotels and they can travel in style on Insight’s luxury reconfigured coaches with more legroom so the journey is as enjoyable as the destination. For over 35 years, Insight Vacations has been the leader in premium escorted tours and cruises to Europe, the Eastern Mediterranean, Canada and the United States. To book an escorted journey or for more information on tour itineraries, please visit www.insightvacations.com, or call +65 6922 5950 /+65 6922 5978 or emailinfo@insightvacations.com.sg . *Based on twin sharing, book by June 30. Other terms and conditions apply. About Premiere RealtyEstablished in 1995, Premiere Realty is a Singapore based real estate agency offers a full range of real estate and investment advisory services, with a focus on luxury homes, unique properties and commercial investments. By partnering with strategic alliances, Premiere Realty offers clients a “one-stop shop” for property investments both in Singapore and overseas.